I was preparing to write a whole post about the latest discrimination against gay people – namely, the proposed bills that would allow businesses to deny service to gay people, and the potential GOP presidential candidate claiming that PRISONS are evidence that being gay is a choice (and his subsequent apology) – but then I got sick this weekend, and have been playing catch-up with grad school work all week. I want to do this topic justice, but I also wanted to post SOMETHING before the deadline for next week’s post, so here’s the short version (and in the meantime you can exercise your rage meter by reading the articles linked above): This discrimination is despicable. We have done this sort of thing before. With black people. Remember how we, as a country, decided that discrimination against people who are different from you is wrong? News flash, folks: this still applies. But part of me almost wants to let them deny service. Because not only will they lose the business of gay people, they’ll also lose the business of people like me who believe in equal rights. In a perfect world, allowing them to do this would run their business into the ground. It’s also really frightening to me that someone who could potentially be governing the country would claim that being gay is a choice based on what happens in prisons. Luckily, he is a neurosurgeon, and is probably closer to the bottom of the totem pole when it comes to potential GOP candidates due to the lack of a job in politics. But I don’t know that much about him other than that he is obviously not a scientist. Ok, I have to cut myself off now, because I’m about to give a geology 101 lab midterm! I might come back to this topic. Or I might post a bunch of dog photos detailing the many nicknames we have for our household’s labs. 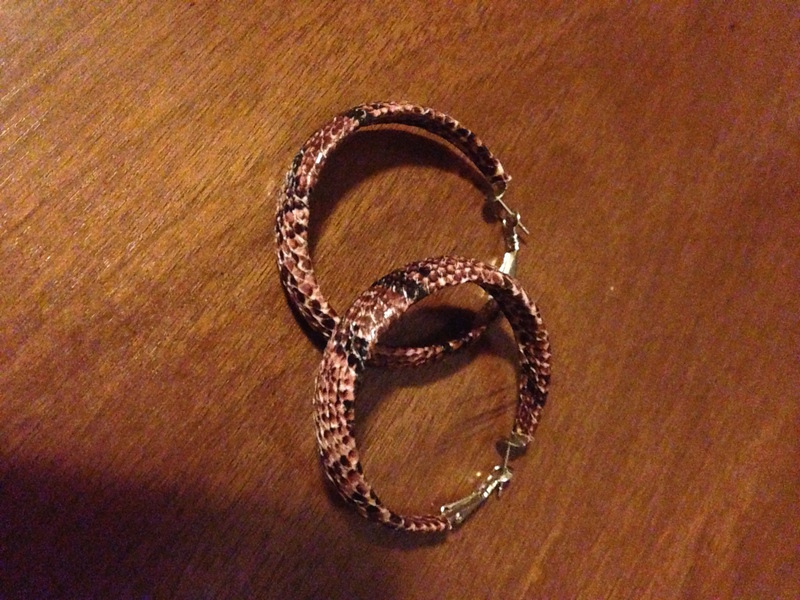 I will leave you with this: I have snakeskin hoop earrings. I like to tell people I made them from the rattlesnake I killed doing field work to save the life of my field assistant, who had a particular fear of them.